제품특징 및 구성 - Astounding Star Wars statue of a Tusken Raider on a Bantha! 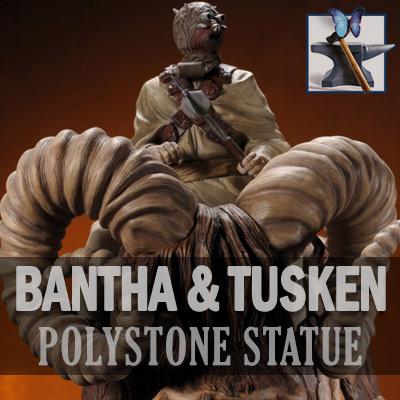 - The limited edition Bantha and Tusken Raider Statue is both large and detailed. - Add this magnificent Star Wars sculpture to your collection! - A vicious and barbaric race? What do you think?